The Europeana Digital Service Infrastructure phase 3 (DSI3) project has continued the work of its predecessors DSI1 and DSI2 in tackling the question of how to unlock the potential for use of digital heritage for (history) education. 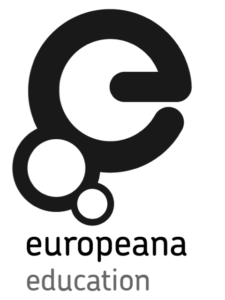 The project focused on the further integration of Europeana and Historiana in order to make them more user-friendly, thus allowing for their optimal use in history education. 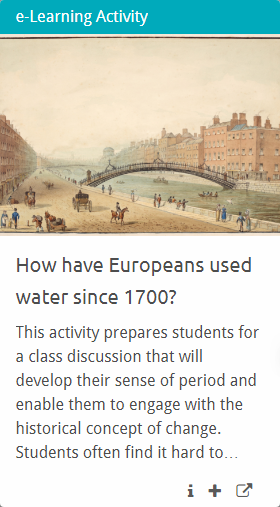 Together with Europeana, EUROCLIO developed a teacher training guide (How to use online tools to promote historical thinking?). 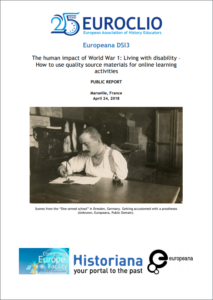 This guide is designed for teacher trainers to challenge and support their trainees or colleagues to create, adapt and use eLearning Activities that promote historical thinking using the Historiana eLearning Environment and Europeana’s Source Collections. The guide includes practical information on how to set up a workshop, a set of ready to use teacher challenges to create eLearning activities, and various types of support material. The guide can be downloaded below. The exemplar content and a screencast of an online eTwinning seminar bringing together all the materials are also available below. Check out all 12 source collections on Historiana! Check out all 14 learning activities on Historiana! 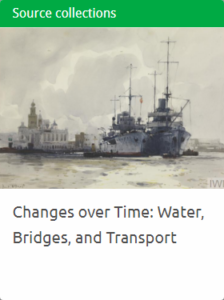 June 1, 2018 New Europeana source collections available on the First World War! May 9, 2018 EUROCLIO provides training on how to use online tools to make historical thinking explicit to students. And you can join!